Experiential marketing (EM) is known to increase overall and spontaneous brand awareness, purchases and recommendations by huge values in the market. This mode of marketing is fast gaining relevance in the market and becoming the necessary tool for marketers in general and specific for brand managers. With this importance, there has been a growing need for the use of experiential marketing in organizations thus indicating their relevance and effectiveness especially in the perishable market and the fast moving consumer goods (FMCG) sector. In determining the relevance and appropriateness of experiential marketing a relationship between the marketing strategy and other variables will be explored, the positive consequences of these variables on experiential marketing is to indicate the relevance and appropriateness of the marketing mode. In regards to the effectiveness, relevance and appropriateness of experiential marketing, the study sought to establish the relationship between experiential marketing, the consumer behavior or the behavior of purchaser, experiential value and customer loyalty in the fast moving consumer goods (FMCG) sector. In executing the study, a population of 1090 respondents was evaluated with the survey design being cross-sectional. In this population a sample of 381 was drawn. Questionnaires were administered to assist collect the responses. In establishing the relationship of the study, there was a rigorous data analysis that was carried out. The relationship would help determine the relevance, appropriateness and effectiveness of EM. From the study, the relationships between the experiential marketing, consumer behavior, experiential value and the loyalty of the customer were found to be positive and quite significant in determining the appropriateness of the marketing mode. Upon carrying out regression analysis, the results showed that EM, value and consumer behavior were significant predictors of customer loyalty. Given that the model used could only explain the customer loyalty of FMCG products by 45.8% in variance, the study recommends that further research should be done with other factors in place or put in consideration especially those that were not part of the model. In carrying out a further research, a longitudinal study is recommended. To carry out a detailed literature review of previous literature concerning the effectiveness, appropriateness and relevance of integration experiential marketing in organizations. 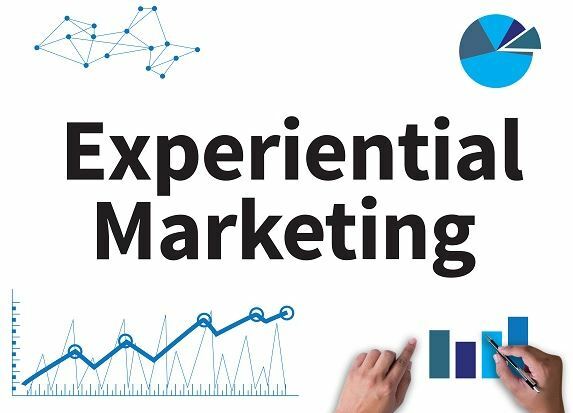 If you enjoyed reading this post on experiential marketing in the UK FMCG sector, I would be very grateful if you could help spread this knowledge by emailing this post to a friend, or sharing it on Twitter or Facebook. Thank you. Digital Branding – The emergence of digital economies and markets has necessitated companies to rethink how they influence and create consumer impressions. Even today, consumers are still brand thinking is still exist just as in the traditional days. However, today, the competition is much stiff and the market much complex. Brands have to depend on social media to engage their consumers, sell their products and also create a following. Today, a brand is seen as a competitive edge of reference, a guarantee to consumers for long term sustainability and security, and dedication to delivering emotional, functional and economic benefits. Such a definition only increases obligations for business to perform, keep innovating while simultaneously keeping cost down. Overall, branding is just a way to justify the price, the quality, functionality, and the product appeals. To achieve this, companies, even the biggest of them all must depend on digital channels to establish responsive engagement programs for communicating their justifications. However, for the process to be effective, they must understand the consumer because contemporary branding must adopt a consumer centric approach. More importantly, branding is about creating an exceptional experience and lasting impressions in the minds of consumers. Basically, a firm must be able to command attention of consumers with each new product, invention or development. Companies such as Apple who are the global leaders in sale of electronics are able to command such attentions. They have been able to establish themselves as an authority in the field of electronics. Essentially, this is the goal of every small or large corporations. Each company wants to have a dominating factor that differentiates themselves from competitors. This is why there is so much potential in digital branding. They have no boundaries when it comes to engaging consumers. How can digital branding contribute to SME’s growth, development and capacity to compete in today’s markets? What inputs and factors determine successful digital branding? Which process of digital branding holds merits in garnering more opportunities and eliminating risks? What is the best way to increase conversation rates to more sales, better visibility and consumer engagement? How to make digital branding data actionable? Did you find any useful knowledge relating to digital branding opportunities in this post? What are the key facts that grabbed your attention? Let us know in the comments. Thank you. Title: Consumer Purchasing Behaviour and Social Media Influence. The impact of social media on the purchasing behaviour is an area of interest that has gained much interest and study in the 21st century. This research focuses in the ways in which social media has had an effect on the purchasing behaviour and most of the interest in the clothing and retail industry. The first part of the research will take a look at the various ways in which the social media influence has impacted on the purchasing behaviour. The different stages of purchase will be analysed in the background study, both before purchase, during purchase and after purchase behaviour and the influence of the different forms of social media on the same. The data collection method that has been used during this research is the analytical study design. The researcher distributed questionnaires to a study sampled population, which consisted of university students at London South Bank University since they are considered to be the most consumers of social media. The results that were obtained indicted that social media has a very big influence on both the three stages of the purchase process. The recommendation, review and consumer motivation among others are the motivating factors that make the use of social media have a big influence on the purchasing behaviour of consumers. This research will therefore have a big influence on the marketing strategy that will be used by future clothe retailers. It also gives an insight on the influence of technology and social media to be specific on the purchase behaviour of the modernised internet users. Therefore, more research should be done by clothe retailers on the best way to promote their businesses through social media. If you enjoyed reading this post on consumer purchasing behaviour, I would be very grateful if you could help spread this knowledge by emailing this post to a friend, or sharing it on Twitter or Facebook. Thank you. Title: Consumer Experience and Purchasing Behaviour of Luxury Goods. This dissertation aims to determine whether behaviour changes in consumers have been affecting sales of luxury branded accessories over recent years. The research is significant to the luxury products particularly the sale of accessories within the fashion industry. The fashion and design industry stakeholders range from store-owners to merchandisers and business executives whose decisions reflect on the customer’s reactions and the behaviours toward product thus affecting sales of that particular product. The purpose of conducting this research is to find out whether the luxury products’ perception has depreciated over time due to impacts brought about by changes in customers’ behaviours. The research also aimed at determining whether luxury accessories have become readily available in the market and the impacts of the associated factors which make the brands less luxurious. The consumer behaviour is basically affected by factors such as change in mode of communication, social networking, globalization, mass consumption, harmonization of the culture, e-tail, celebrity branding and the 2008 economic recession. The researcher has collected data from a wide range of literature such as academic sources and journals to help in finding out the main changes existing in consumers’ behaviour. These academic materials represent the theoretical section of this research. The research conducted involved carrying out interviews which were compiled per oral and written format. This were then sent to luxury retailers as a section of case study and later analyzed. The author finally managed to compare and contrast the obtained results on the theoretical analysis in parallel to the company case. The results were compared with a report conducted on luxury spending habits which have been published by the American Express representing part of this research discussion. If you enjoyed reading this post on consumer purchasing behaviour of luxury goods, I would be very grateful if you could help spread this knowledge by emailing this post to a friend, or sharing it on Twitter or Facebook. Thank you.